Rob Casey Talks about Surfing Puget Sound! Join us to hear Rob Casey give a presentation on surfing Puget Sound! Rob is the author or two paddle sports books by the Mountaineers, the 3rd edition revision of Kayaking Puget Sound and Stand Up Paddling Flat Water to Surf and Rivers. In 2010, he opened Salmon Bay Paddle to teach SUP and kayaking. Soon thereafter, he co-founded the Professional Stand Up Paddle Association. Rob is a frequent contributor to Canoe Kayak, the Inertia, Stand Up Journal, SUP Magazine and the former Sea Kayaking Magazine. A former WWTA board member, Rob and his partner Christy help start the Hobuck Hoedown and have started a few paddling races at Alderbrook Resort and the Ballard Elks Club. 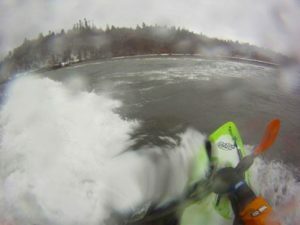 A frequent sea kayaker and paddle boarder, Rob hopes to add surf ski to his quiver soon.